The undertaking of finding a new cell phone and service plan can be a major hassle due to the amount of service providers in business. In addition to the phone itself, driving across town to a provider can be time consuming. That is why there are 8 proudly operated Direct Paging and Cellular Locations in Tucson, AZ. The convenience factor for our customers is a top priority. To make your search as simple as possible and ensure that you are getting an affordable rate that will satisfy your needs, choose Cricket Wireless. 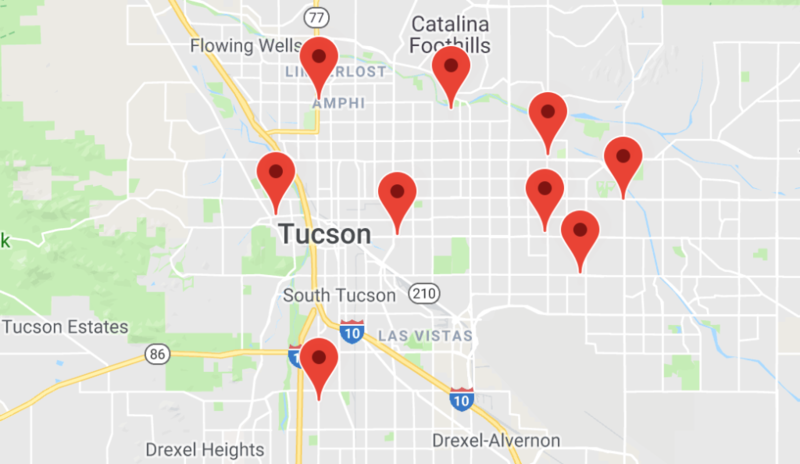 Whether you are in the market for a new cell phone, used cell phone, or are in need of other services, please stop in to one of our many Direct Paging and Cellular locations Tucson has to offer. A list of our 8 locations along with detailed location information about each can be found at our locations page. Direct Paging and Cellular Locations Tucson AZ offer many advantages to our customers. Plans start as low as $35 for basic plans. Nationwide coverage, no contracts, and no activation fees are what make Cricket Wireless different. 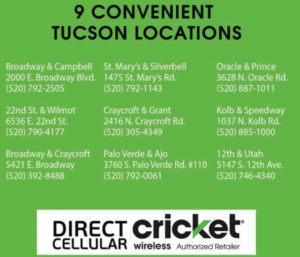 Stop in to one of our 8 Direct Paging and Cellular Locations Tucson AZ today to see how these advantages can benefit you. Regardless if you are in the market for a new cell phone, used cell phone, or just want to weigh your options on service plans, come in to the closest Direct Paging and Cellular Location Tucson AZ to you and speak with one of our associates. Various financing plans are available to customers if that is desired.